* 129 CSU graduates at annual graduation ceremony in Orange * 20th year since the commencement of the Bachelor of Physiotherapy course at CSU * Graduation will be a reflection of significant results for both students and staffCharles Sturt University (CSU) in Orange will recognise the achievements of 129 students at the annual graduation ceremony on Thursday 13 December. The testamurs will be presented to graduates at the Derek Pigot Auditorium at Kinross Wolaroi School in Orange at 4pm. The students will graduate from the Faculty of Arts and Education, Faculty of Business, Justice and Behavioural Sciences, and Faculty of Science. Michael Newman will open the ceremony and deliver an Acknowledgment of Country with newly-appointed CSU Provost and Deputy Vice-Chancellor (Academic) Professor John Germov as Presiding Officer. Head of Campus at CSU in Orange Dr Heather Robinson (pictured) said this year’s graduation will be a reflection on some really significant achievements from both students and staff, from all faculties. “Associate lecturer in clinical dentistry Dr Jessica Zachar won first prize of the Junior Category Colgate Competition at the annual meeting of the Australian and New Zealand Division, International Association for Dental Research.” “And 2018 will mark the 20th year since the commencement of the Bachelor of Physiotherapy course at Charles Sturt University.” Dr Robinson said. The graduation will also welcome the Chief Executive of Country Education Foundation of Australia, Orange resident and CSU Alumni Ms Wendy Cohen to provide the occasional address. Dr Robinson said, “it is always a thrill to welcome back alumni to graduations and hear about their achievements over the years, particularly when they have entered back into the regional workforce in order to support local communities.” The CSU in Orange graduation ceremony starts at 4pm Thursday 13 December at the Derek Pigot Auditorium at Kinross Wolaroi School in Orange. * Tanya Hennessy will deliver an address and Q&A with CSU students * Students will also hear from entrepreneur Penny Locaso and Orange dancer Emmanuel Rodriguez * 70 CSU student leaders expected to come together in two-day event to encourage development of leadership skillsCharles Sturt University (CSU) in Orange is hosting the 2018 CSU Student Leadership Conference with social media sensation and CSU Alumni, Tanya Hennessy, delivering a keynote address. The two-day conference will host around 70 emerging student leaders from both on-campus and online courses with a primary focus on encouraging networking and turning ideas into action. Deputy Vice-Chancellor of Students, Jenny Roberts said that the conference is an opportunity to bring together student leaders with a variety of experiences from different courses of study and campus locations.“During the conference, students will participate in experiential learning activities, listen to guest speakers and come together for a networking and social event with the Vice-Chancellor’s leadership team,” Ms Roberts said. “We’ve organised a talented line-up of keynote and guest speakers to present to gathered students. Each speaker will bring a diverse collection of skills and experience and will share their voices and life lessons.”CSU Alumni Tanya Hennessy said she hopes students attending this week’s conference will leave feeling inspired and knowing that they hold the power to their success. “I hope people hear my story and know that I’m not different, or special – I’m just a hard worker, and that’s what sets me apart.” Ms Hennessy said.Ms Hennessy, an author, radio personality and social media influencer with more than 1 million Facebook followers, studied the Bachelor of Arts Theatre Media at CSU.Reflecting on her time at CSU as one of the best experiences of her life, Tanya said her message to student leaders attending the conference and to current CSU students is “say yes to everything and make your own opportunities.”“Don’t rest on your talent, everyone is talented – what makes you different?” Ms Hennessy said.“Always stay strong, be resilient and your failures are lessons to work out what you do and don’t want to do.” Joining Tanya as a speaker at the conference is Penny Locaso, founder of BKindred and one of the most influential Australian female entrepreneurs of 2018, as well as Orange local Emmanuel Rodriguez, a dancer who has competed on So You Think You Can Dance and Australia’s Got Talent. The pair will be covering diverse topics reflecting on their career paths including; humanising the future, goal-setting and personal passions. The Student Leadership Conference is a CSU student-focused event and will run over Wednesday 31 October to Thursday, November 1. * Stargazing fun for everyone at CSU in Orange * Expert local astronomers and Indigenous storytellers * Enjoy Aboriginal dance, music, traditional food, and barbequeCharles Sturt University (CSU) in Orange will host an evening of astronomy and storytelling on Wednesday 12 September.Head of Campus Dr Heather Robinson said the free ‘Sky Stories’ event will combine guidance from expert astronomers and Indigenous storytelling against the beautiful backdrop of Girinyalanha Park located within the University campus.“Sky Stories is a melding of Western science and Aboriginal knowledge – a chance to look at the stars and see them from two perspectives. There’ll be an acknowledgement of country by Mr Michael Newman and Wiradjuri sky stories as told by Mr Doug Sutherland,” Dr Robinson said.“Stargaze through a telescope with local astronomers Mr Rod Somerville from the Orange Planetarium, and Mr Ray Pickard from Bathurst Observatory Research Facility.“Bring along a rug or chair, and enjoy Aboriginal dance, music, traditional food by Gerald Power of Indigenous Cultural Adventures and a barbeque at this family event.”Sky Stories is from 5.30pm to 8.30pm on Wednesday 12 September at Charles Sturt University, Leeds Parade, Orange. Parking available in P1, P2 or P3 and follow the event signs to Girinyalanha Park.More information on the event page is here; https://news.csu.edu.au/events/orange/sky-stories-community-observation-night​Sky Stories is presented by CSU Explorations Series and Future Moves and is supported by our community partners; Orange Local Aboriginal Land Council, Orange Planetarium, and Bathurst Observatory Research Facility. 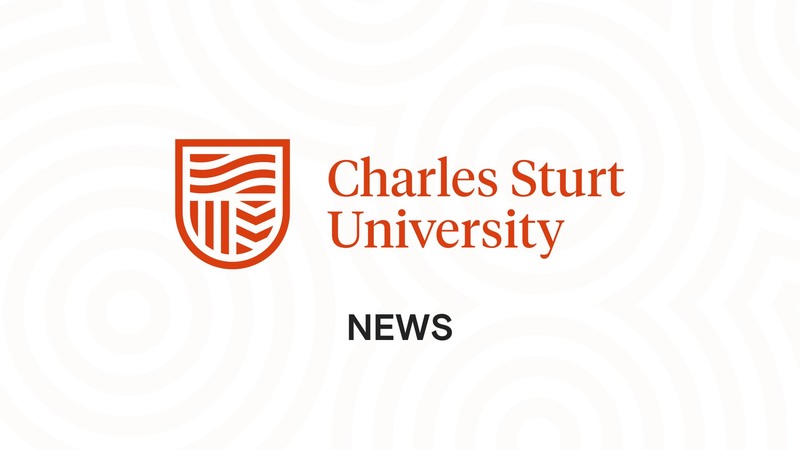 * The next round of 2018 Charles Sturt University Community-University grants for arts and culture activities are open for applications * Previous recipients include Canowindra Arts Inc, Cudal Public School Parents and Citizens Association, and the Rotary Club of Orange Inc * The grants help the community to encourage participation in arts and cultureThe next round of 2018 Charles Sturt University (CSU) Community-University Partnership (CUP) grants for arts and culture activities are open for applications.Individuals and community groups across the University’s regions covered by its campuses in Orange, Bathurst, Albury-Wodonga, Dubbo, Wagga Wagga, and Port Macquarie are invited to apply.Head of Campus at CSU in Orange Dr Heather Robinson said, “The University provides up to $20,000 worth of grants across its regional footprint. I encourage individuals and groups with projects or initiatives that meet the criteria to apply.”Applications close on Friday 24 August, and the CUP grants application form is here:https://about.csu.edu.au/community/grants/arts-and-culturePrevious arts and culture CUP grant recipient the Canowindra Arts Inc reported the CSU CUP grant funding (a) enabled an art course for young artists in Canowindra; (b) allowed students to develop personal skills in specific art mediums and styles; and (c) facilitated the growth of young artists giving them a desire to further their practical knowledge and application of art.‘Over a period of nine teaching sessions, 10 students from the ages of 12 to 15 took part in the Canowindra arts Mentoring Program,’ the report noted. ‘The grant funds were used very specifically to buy resources for the students to sample and experience all different forms of art mediums and styles, from life drawing, water colours, oils, acrylic, and pastels. Then with these resources they were able to choose their own personal projects and put together an exhibition to be shown publicly in the New Year. The CUP grant money has also covered the teaching costs, hire of the hall, and frames for the final exhibition.’Cudal Public School Parents and Citizens Association was another 2017 CSU CUP arts and culture grant recipient. The school received a $1,000 grant and the P&C Association Vice-President Ms Catherine Kearney thanked CSU for supporting the creative arts in the small town of Cudal.“The funds allowed the whole community to come together and shine,” Ms Kearney said. “It was wonderful to watch the joy in both the students and the audience. The arts are alive and well here at Cudal.”The aim if the Cudal Public School project was to create stronger ties within the small community. The funds were used to cover costs associated with the project, including sound and microphones for students to use during the play and the creation of props and costumes. The strong community ties were evident during the preparation and during the actual performance. There was a full house at the evening performance, and many older community members attended the matinee. They thoroughly enjoyed the performance and it was ‘the talk of the town’. The students enjoyed all aspects of the production, including working on and modifying the script, rehearsals, costume and prop design. Parents and community members helped with make-up and costumes as well. It truly brought the community together.The Rotary Club of Orange Inc also received a $1,000 CSU CUP arts and culture grant to stage creative poetry workshops in primary schools in the region.Rotary member Mr Len Banks said, “Primary schools students around Orange, NSW, now approach poetry with enthusiasm and confidence. A partnership between Charles Sturt University and the Rotary Club of Orange brought Australian bush poetry to life by engaging champion poets ‘Mel and Susie’ for workshops in rhyme, rhythm, and performance skills.”The Rotary of Orange project brought two Australian champion performance bush poets − Melanie Hall and Susan Carcary − to Orange from 17 to 27 October 2017. They conducted 17 workshops in 10 primary schools across the Orange region over 9 school days. The workshops were one to two hours duration depending on the school’s timetabling constraints, and provided instruction in rhyme, rhythm, storytelling, and performance techniques to 449 students from kindergarten to Year 6, but mostly in Years 3 to 6. All were kept enthralled and entertained by Mel and Susie as they performed some classic Banjo Paterson poems as well as some of their own creations. Throughout the workshops the students were involved with play acting, reciting, and creating. A survey completed by teachers after the workshops showed that the project fitted well with their curriculum and met the schools’ learning outcomes in literature, creative writing, and performance. Teachers also advised that the workshops gave them new skills in teaching poetry and using performance as a learning technique. The schools also showed interest in participating in the 2018 Banjo Paterson Australian Poetry Festival in Orange and in encouraging students to enter the poetry competition in February. * Federal Minister for Rural Health, Senator Bridget McKenzie today launched the CSU $100,000 Community-University Partnerships (CUP) program for 2018 in Orange. * Up to $20,000 available across five different categories - arts and culture, education, sport, indigenous programs as well as grants to support small community initiatives. * Minister McKenzie who was joined by Federal Member for Calare, Andrew Gee MP also inspected the dentistry and allied health teaching facilities at CSU Orange.Federal Minister for Rural Health, Senator Bridget McKenzie today launched Charles Sturt University’s (CSU) 2018 $100,000 community grants program for Orange and the NSW Central West.“I am delighted to be here with my colleague, the Federal Member for Calare, Mr Andrew Gee to launch Charles Sturt University’s community grants program that provides vital support to local community groups across Orange and the Central West.“This program by CSU supports the development of our regions with grants going to community groups and initiatives across arts and culture, education, sport, indigenous programs as well as discretionary grants for small community initiatives.“I applaud this fantastic initiative by CSU and I encourage members of the Orange and the Central West community to apply,” Minister McKenzie said.Acting CSU Vice-Chancellor, Professor Toni Downes, said, “The CSU program provides grants from as little as a few hundred dollars, up to $20,000. It’s important that CSU can support a diverse range of initiatives that strengthen our regional communities.“Given that winter is just around the corner, we have opened this year’s grant program with the Rural and Regional Sports Development round first and the other grant programs will open in a rolling fashion throughout the year,” Professor Downes said.Minister McKenzie also toured the University’s Orange site with Mr Andrew Gee MP to inspect the University’s quality teaching facilities and the dentistry and allied health courses offered at CSU in Orange.Applications are now open for the 2018 CUP Rural and Regional Sports Development Program with the others to open one after the other.Further information, application packs and program guidelines can be found here. Students and staff at Charles Sturt University (CSU) in Orange will receive information and opportunities for health assessments at the CSU 2018 Wellness and Wellbeing Expo on Tuesday 20 March.The CSU Wellness and Wellbeing Expos are being staged at the seven main CSU campuses during March, and more than 2 500 CSU staff and students are expected to benefit from the information and health checks provided.Expo coordinators in the CSU Division of Human Resources, Ms Lisa Tuineau and Ms Melissa Lombe, said, “Charles Sturt University recognises and values the importance of staff and student wellness and wellbeing, and aims to adopt a holistic approach to the treatment of workplace health and safety.“The University appreciates that problems of a personal nature can and do have adverse effects on work performance, work satisfaction, study, health, and feelings of wellbeing, and is therefore running Wellness and Wellbeing Expos on its major campuses.“The Expos will give attendees the opportunity to obtain information on numerous health and wellbeing services available to them at the University and in our local communities. The University hopes that staff and students will not just become more aware of the services available and will encourage them to engage with these services and programs.“Through happier, healthier and more satisfied staff and students the University hopes to foster a productive and resilient environment.”The 2018 CSU Wellness and Wellbeing Expo will be held at CSU in Orange on Tuesday 20 March. Services at the expo include hearing checks, free massages, and pre-winter flu vaccinations.The health and wellbeing of staff and students at CSU has received a boost with sponsorship from the NSW Trustee and Guardian, iCare, Gallaghers, Employers Mutual, G&C Mutual Bank, UniSuper, and nlc. * ‘Winhangarra - hear, think, listen - Cultural Yarning' event designed to introduce students to cultural and equity issues in preparation for the workforce * Event will include yarning session, cultural sharing and Indigenous education * To be held at CSU in Orange Wednesday 6 March, 12.00pm – 2.30pm Charles Sturt University (CSU) in Orange will host a cultural event, ‘Winhangarra - hear, think, listen - Cultural Yarning,' Wednesday 6 March, to introduce CSU students, to cultural and equity issues to provide a broader context to their studies. Initiated in 2018, the cultural event will be held at "Girinyalanha" Aboriginal Nature and Bioscience Park, Leeds Parade, Orange. It is the product of a collaboration between faculty of CSU science academics, student services and Aboriginal community members; the event aims to advance health practice, build aspiration and capacity with the student body and strengthen community relationships. Senior Lecturer in Pharmaceutical Science, Dr Heather Robinson said that this event will encourage conversations and provide context to students, equipping them with the knowledge and awareness for their responsibilities as future health professionals. “This event is part of an ongoing process towards building cultural awareness in health, study and practice. “Students, staff and community members attending will immerse themselves in the cultural experience, with an opportunity to participate in a yarning session led by Aboriginal health and education leaders in our region,” Dr Robinson said. Yarning panellists will include: Ms Deborah Kenna, Manager Molong Health Service, Mr Phil Naden, CEO Bila Muuji Aboriginal Corporation Health Services Inc., Ms Jayarna Kay, Three Rivers University Department of Rural Health and Mr Michael Peachey, Director Indigenous Student Success Charles Sturt University. For more information on the event and RSVP details head to https://news.csu.edu.au/events/orange/winhangarra-hear,-think,-listen-cultural-yarning Picture: Yarning view at "Girinyalanha" Aboriginal Nature and Bioscience Park.